Pretty cool don't you think? 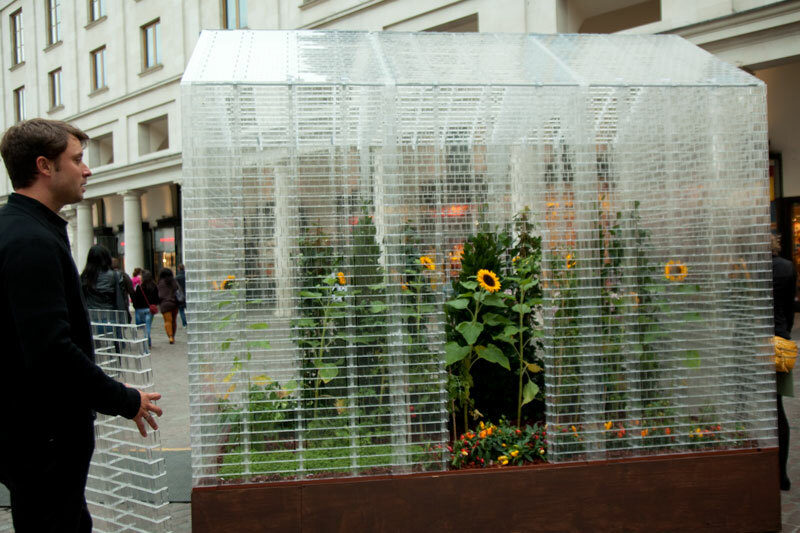 A leggo glasshouse. During design week we get to see some pretty amazing ideas around the streets of London. Look for this one in Covent Garden. I do think it's cool Mo, love that it's filled with sunflowers. A swine to build; if you get it from IKEA it prbably has bits missing. What fun. I wish my sons' assorted lego blocks were see through then I could build my own one. I really like this! Excellent Mo! That is cool! Totally brilliant and it looks easy to expand and reduce the size of it too. I see a lot of Lego things, but this is new to me. Cool. Yes, very cool and hot at the same time.